It all started with a broken suitcase in Zurich. Here’s how Jen Rubio, co-founder and chief brand officer of Away, is taking on the luggage industry. During a trip to Switzerland, Jen Rubio’s suitcase broke in the middle of Zurich Airport. Her clothes spilled out and she used tape as a quick fix. Looking for a new suitcase, she noticed options either swayed ultra expensive or low cost, but terrible quality. When she called her friend—and Warby Parker coworker—Stephanie Korey to complain, the conversation turned into a brainstorm. Why was there no middle ground? Months of research, and more than 800 focus group interviews, later, the duo helped close that gap with Away. The direct-to-consumer suitcase company, which they launched in February 2016, has seen its annual sales soar, reaching $50 million in 2017. 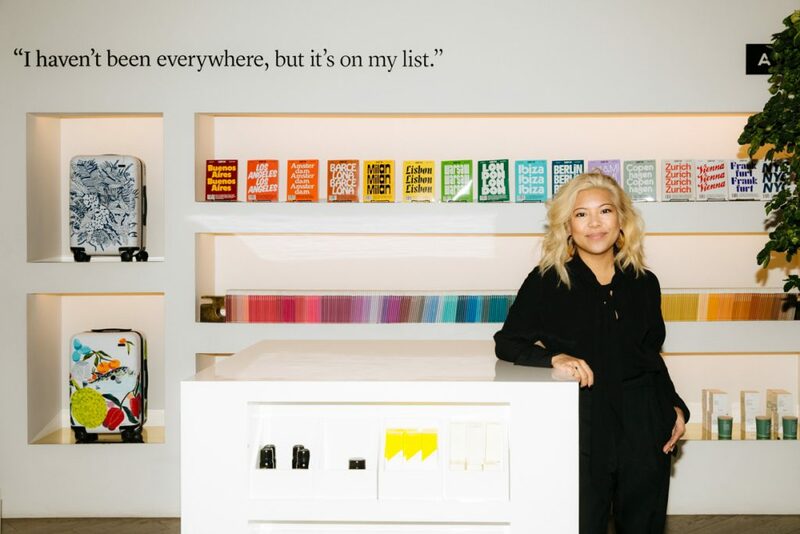 And now, Away’s entering the brick-and-mortar retail space too, with four sleek boutiques in New York, Los Angeles, San Francisco and Austin. 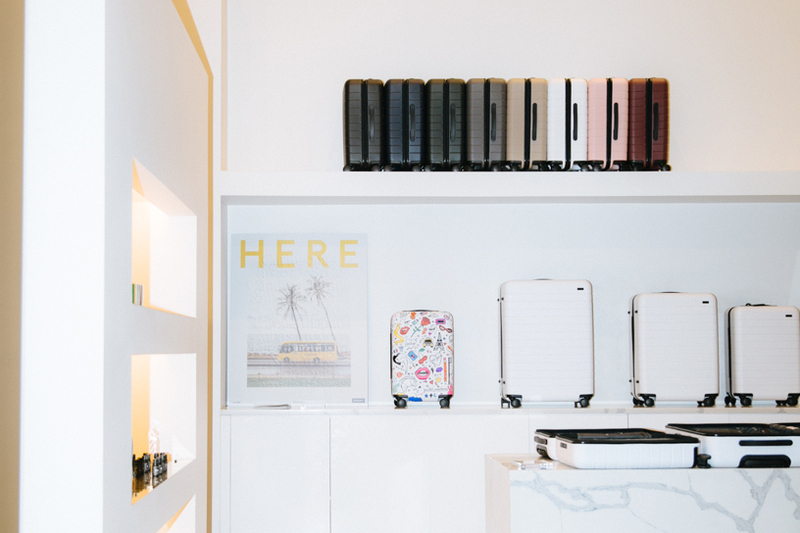 This last week, we sat with Rubio at the NoHo flagship store here in New York to learn more about how she and Korey have turned the travel gear market on its head. In a very literal way, suitcases are a fundamental part of the travel industry, yet they’d been left out of the rising direct-to-consumer business model. Why do you think that is? Suitcases are definitely a fundamental part of the travel experience—you take them on every trip, yet they tend to be an afterthought for a lot of people. Steph and I believed that the multi-billion dollar industry was in serious need of a fresh perspective to help shift that attitude. We believed we could create a better product and experience than what existed before Away, and that we could bring it to life with a brand that people would be excited to associate with. How did your experience at Warby Parker guide you as you created Away? Steph and I were two of Warby Parker’s earliest hires, so we were able to learn a lot about the direct-to-consumer space when the model was really still being defined. My experience there showed me that a meaningful brand experience has the ability to disrupt an entire industry. We used emerging platforms and technology to enable and strengthen our relationships with our customers, from storytelling to data and insights and more. Before Away, luggage (like eyeglasses) just wasn’t something people got excited about. From a brand and creative perspective, I truly believed that we had an opportunity to take a unique stance—to not just talk about the features of our bags, but to talk about what you could do with them. For a direct to consumer company, brand name is huge. At what point did “Away” become “Away,” and what was that naming process? It’s the first thing that came to me and the only name we ever considered. In fact, we treated it as a placeholder because it almost felt too good, too obvious! But it stuck. In hindsight, it makes a lot of sense for us. As a brand, we want to fuel a sense of openness to the world—everything we’ve ever done has been centered around the experiences of travel, and having a name like Away allows us to build this company beyond luggage. Your focus groups mentioned the desire for “smart” suitcases with built-in technology. Had you expected that from the outset? We think of ourselves as thoughtful luggage, not smart luggage—we’ve taken a careful and considered approach to every single feature and aspect of our products. When we were in the initial stages of designing the bag, we had a long list of smart features and built-in tech that we considered, but early focus groups and consumer surveys made us realize that those were just gimmicks. They weren’t solving any real travel problems. They just added bulk and weight and quickly-dated features to a product category that was in need of more minute, more considered changes, that, when put together, would drastically increase the packing and traveling experience. It’s not about a laundry list of marketable features, but taking account what small (even imperceptible), but impactful changes we could make to an outdated product. How has working as a duo allowed the company to succeed? Any words of advice for friends looking to start a company together? As business partners, we bring very different strengths to the table, and it’s a big part of the reason we knew we’d work well together. My co-founder (and our CEO) Steph is the left brain to my right brain. She runs the operational side of the company and I obsess over all things brand and creative. The natural division allows us to focus on the things that we’re individually good at, but our alignment on the big vision and a general interest and understanding of what the other does allows us to catch each other’s blind spots when it matters. Working as a duo with one united goal has been crucial; it offers a fresh perspective on a project or obstacle but frames our individual thinking around the same goal.